One Page Wednesday is an opportunity to share or listen to one page of work in progress from talented Portland writers. Come with a single page of work and sign up to read – or come to listen and prepare to be inspired! Please, no reading from electronic devices. 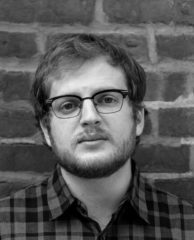 Doors open at 6:30 p.m.
Justin Taylor is the author of the story collections Everything Here Is the Best Thing Ever and Flings, and the novel The Gospel of Anarchy. Riding With the Ghost, a memoir, will be published in 2020. He lives in Portland and is the 2018-2019 Mark and Melody Teppola Presidential Distinguished Visiting Scholar at Willamette University. Justin is also a 2019 Oregon Literary Fellowship recipient. Peyton Marshall‘s work has appeared in The New York Times, Tin House, A Public Space, Etiquetta Negra, Blackbird, Five Chapters, and Best New American Voices. 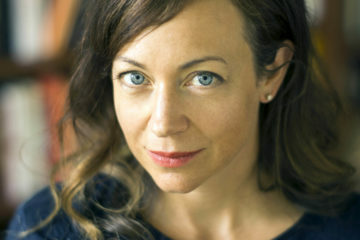 She is the author of the novel Good House. Emily Chenoweth is the host for May. Emily teaches Writing A Novel in 8 Weeks for Literary Arts. She is the author of the novel Hello Goodbye (Random House), which was a finalist for the Oregon Book Award and Klawde: Evil Alien Overlord Cat. 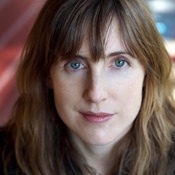 A former English teacher and fiction editor at Publishers Weekly, Emily has also written for People, Self, Tin House, Portland Monthly, and Bookforum.